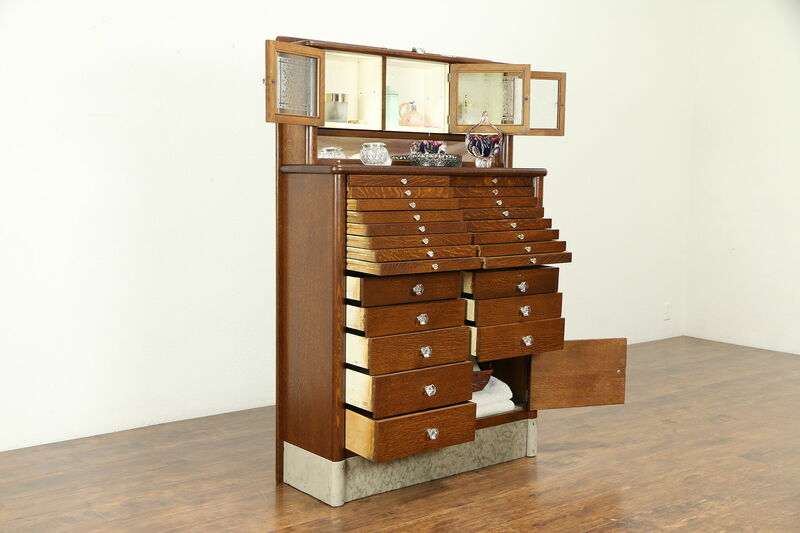 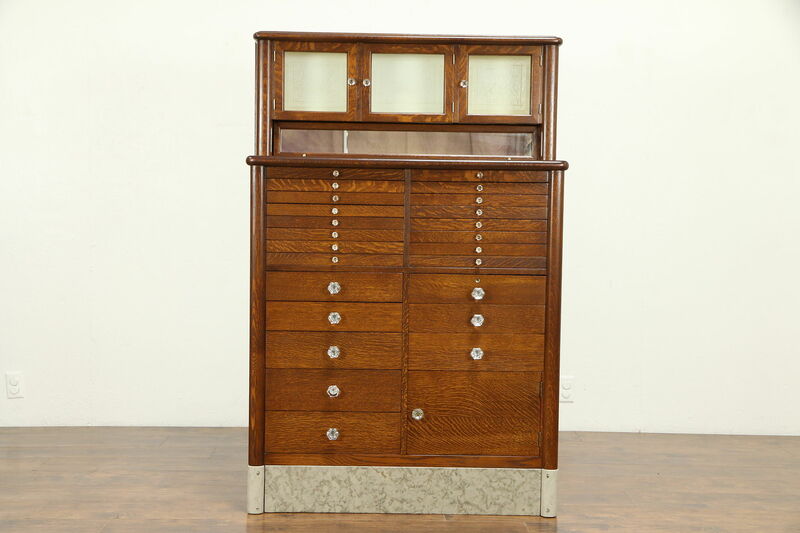 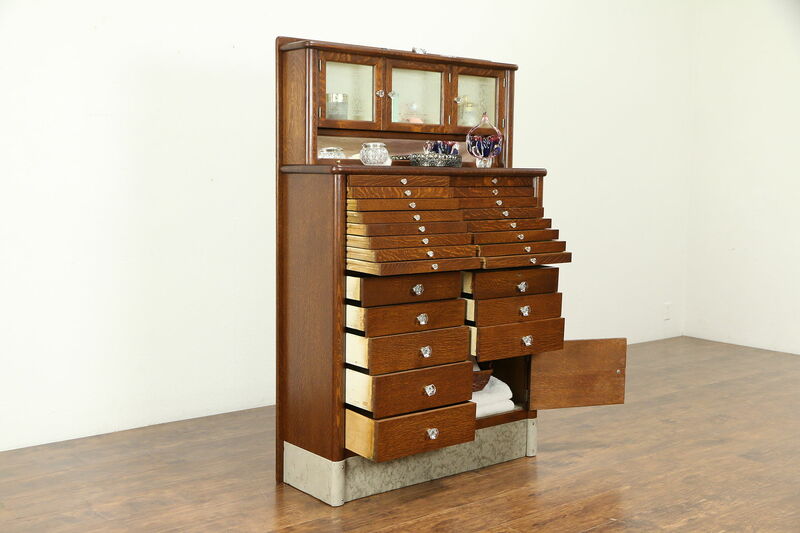 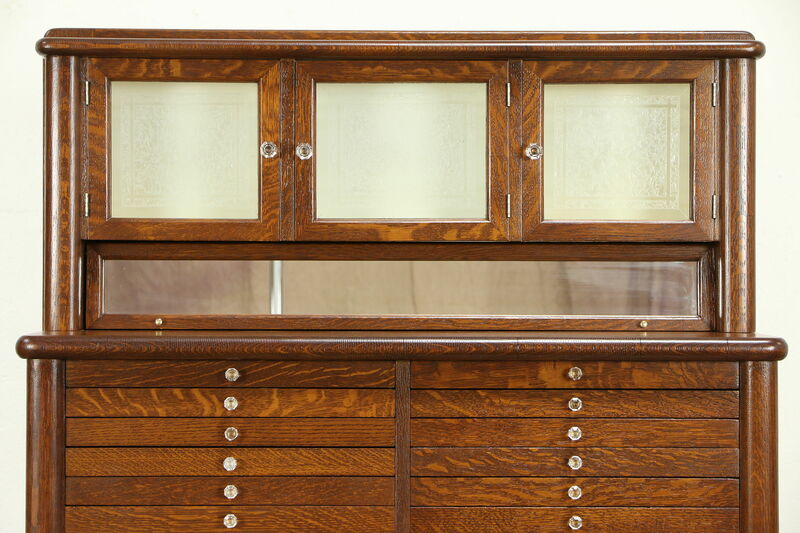 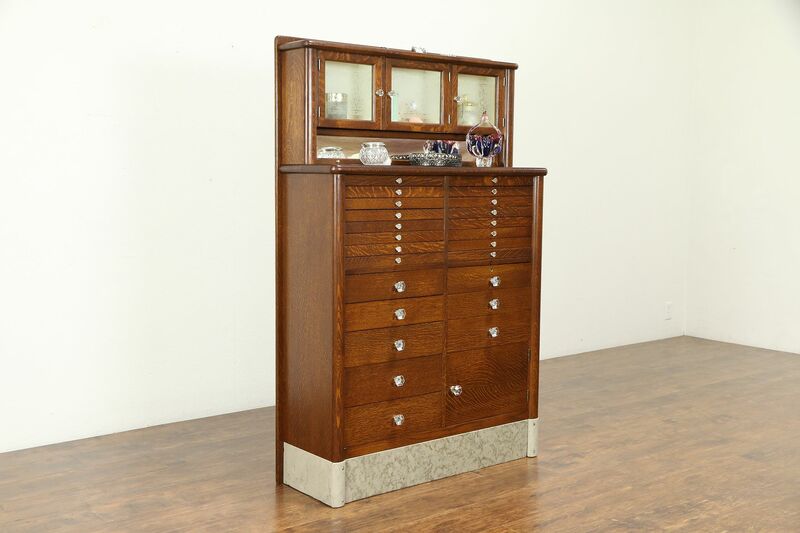 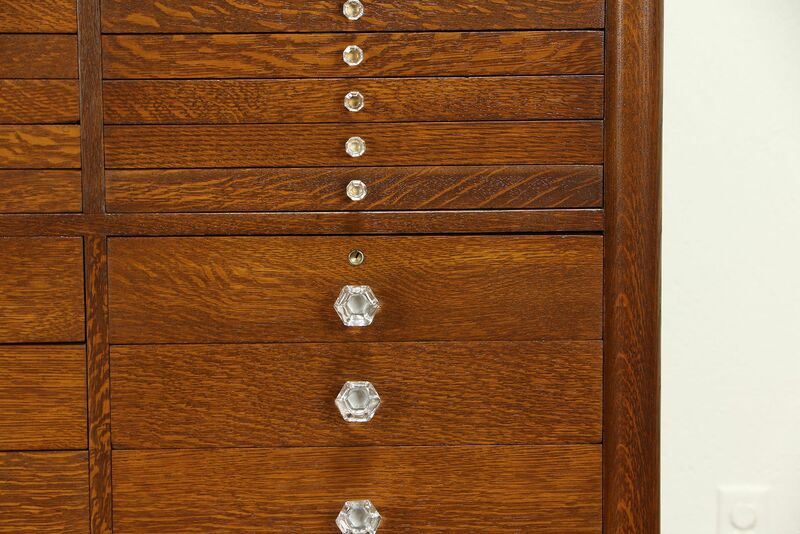 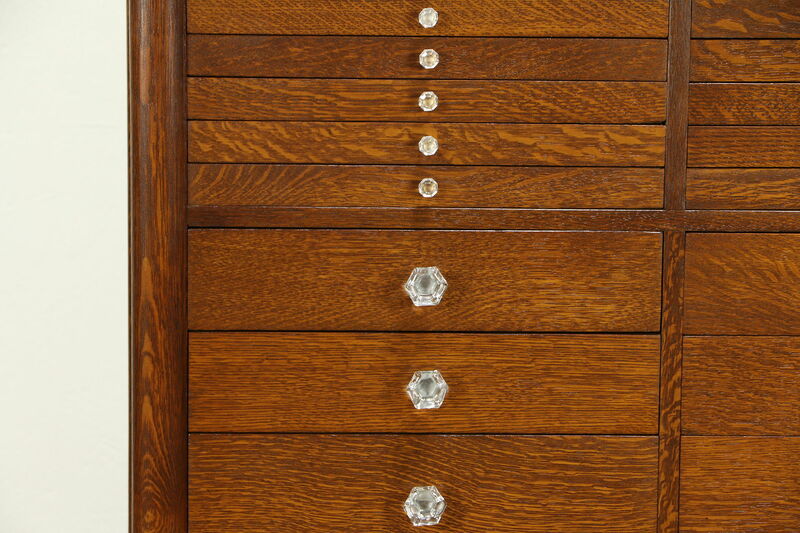 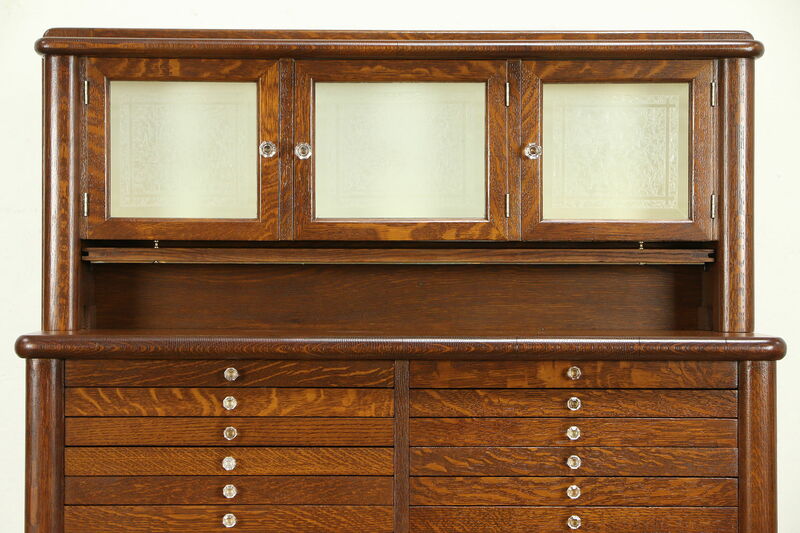 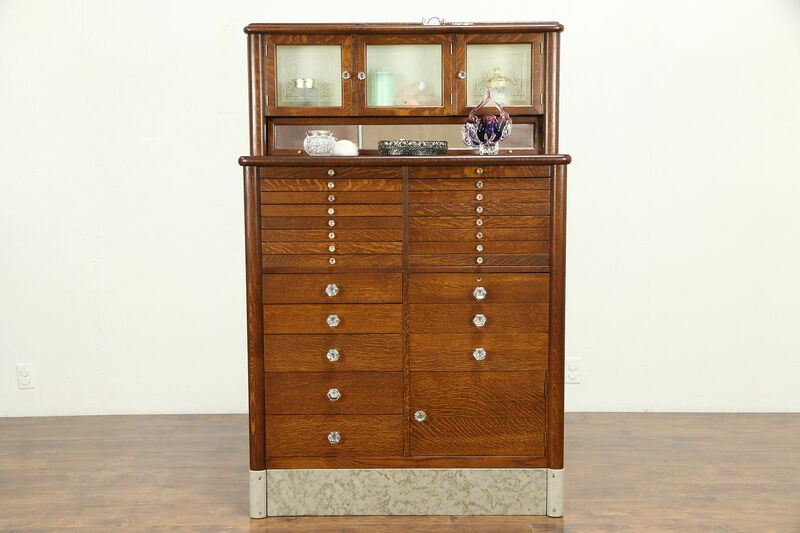 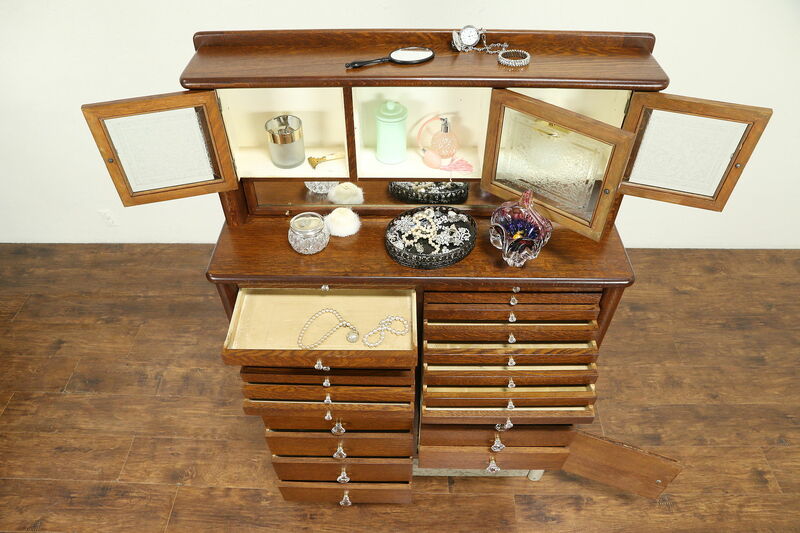 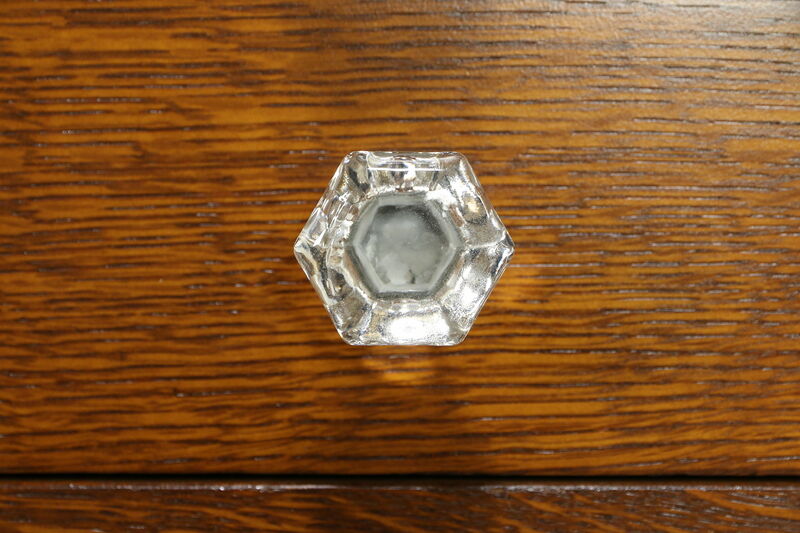 Made for a dentist around 1900, this solid quarter sawn dental cabinet is functional for jewelry or other collections. 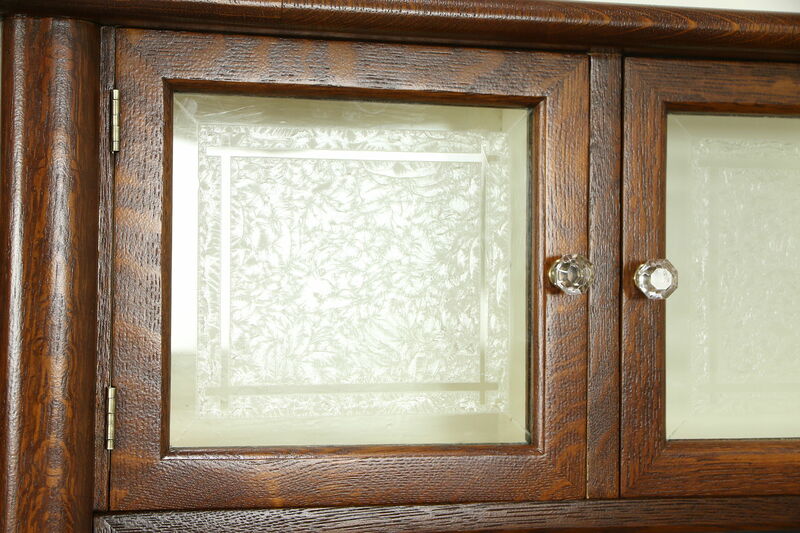 The base is marble and there are three upper doors with beveled and cut etched glass with a frost pattern. 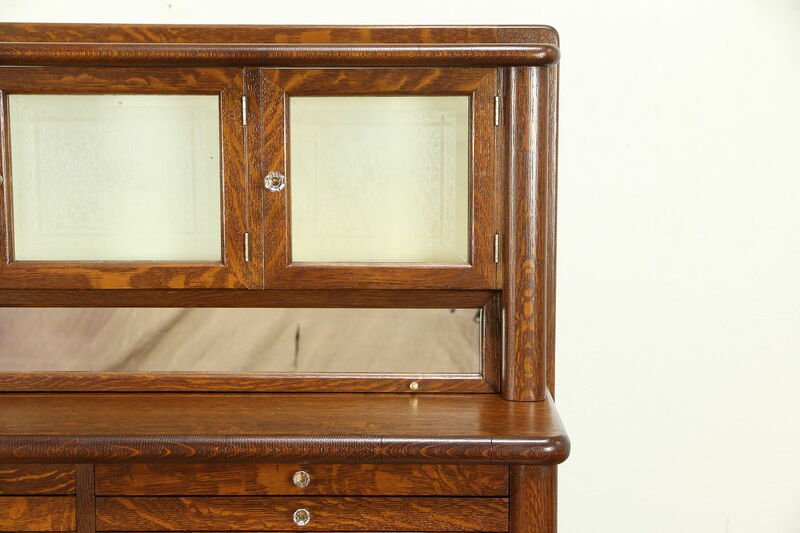 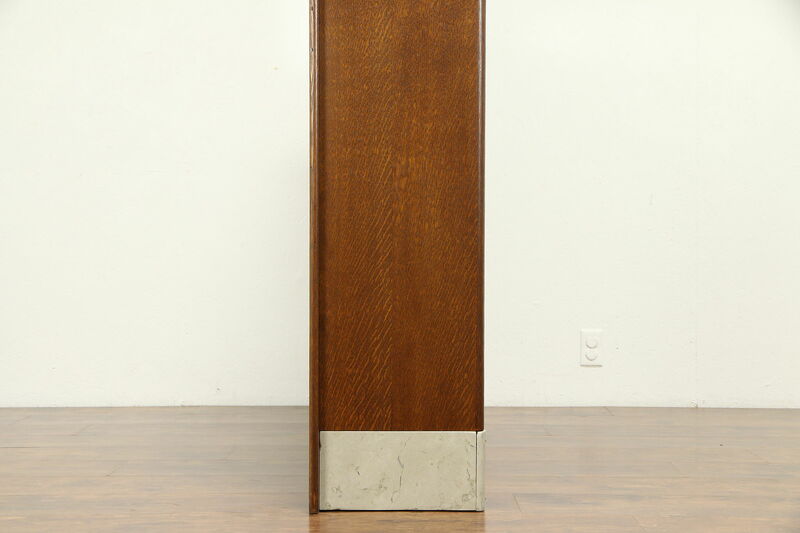 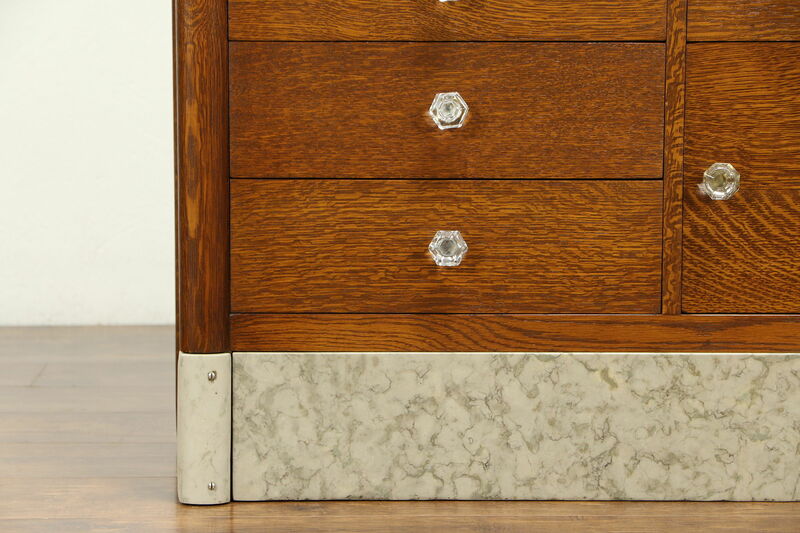 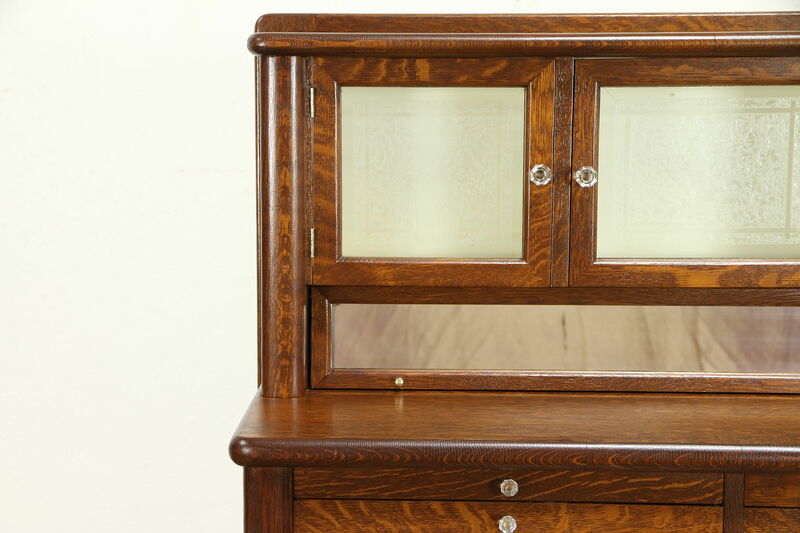 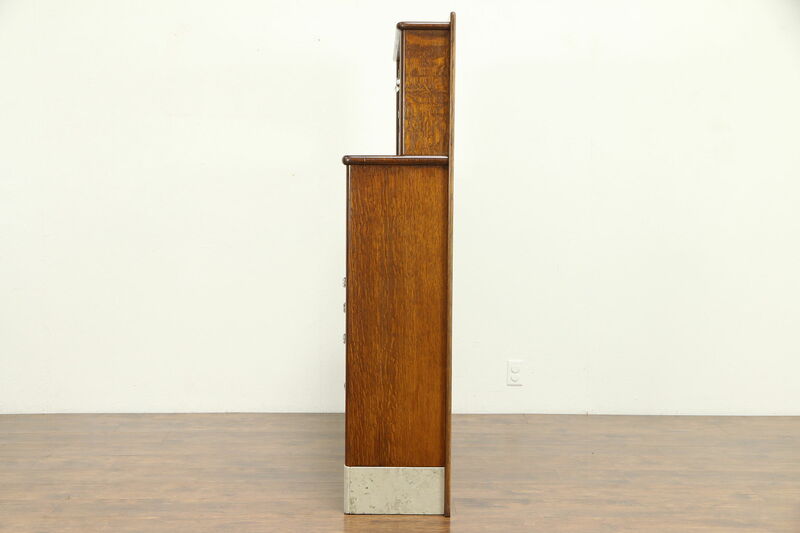 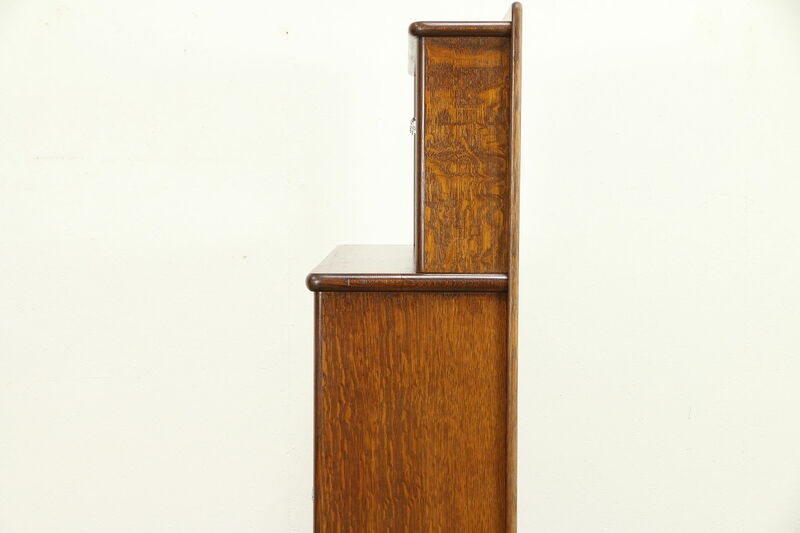 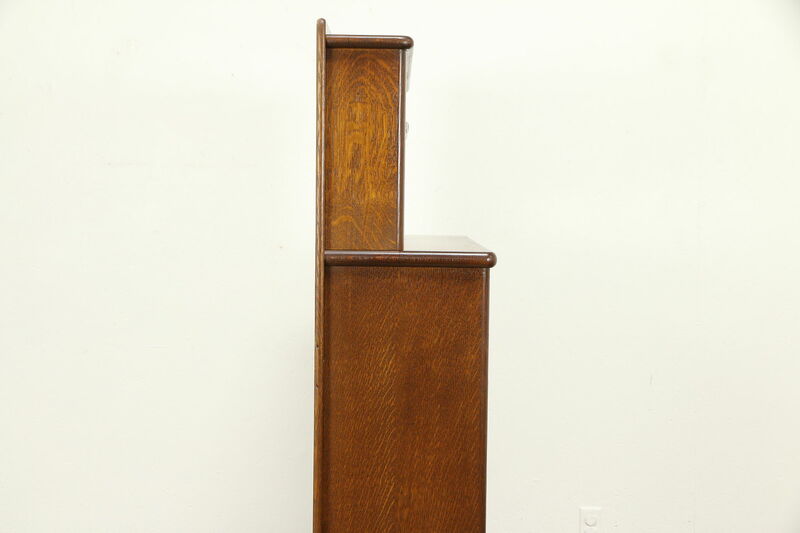 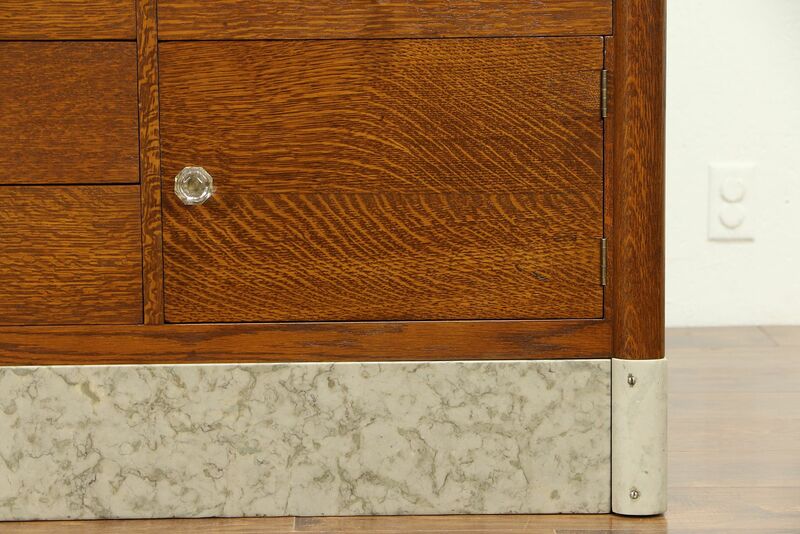 The rich restored finish is in excellent condition on this American made antique furniture. 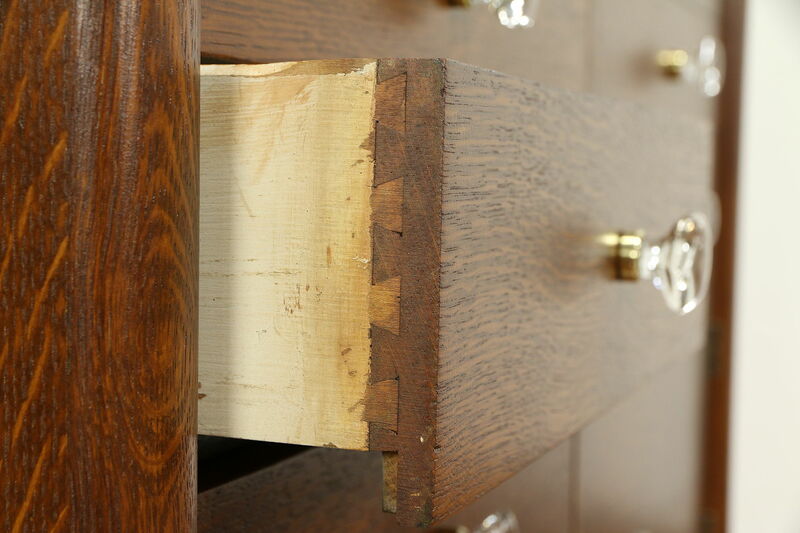 Inside there is still the faint "dentist office" scent of clove oil, which will probably never go away. 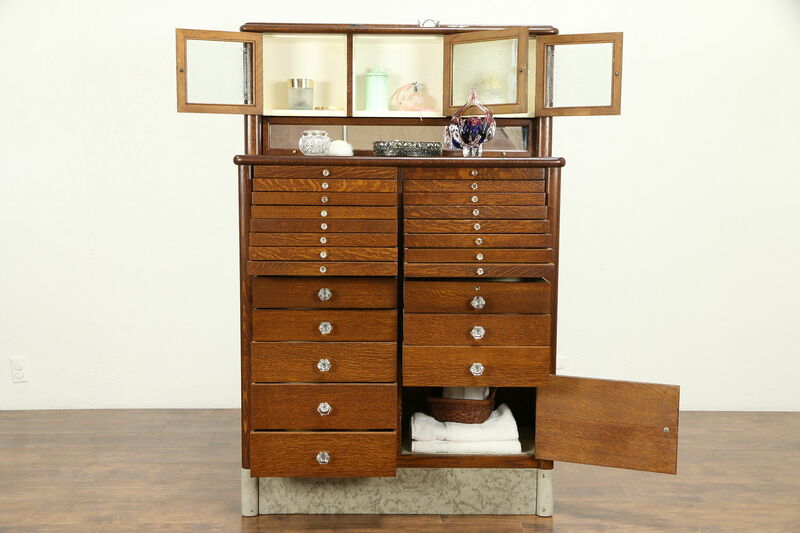 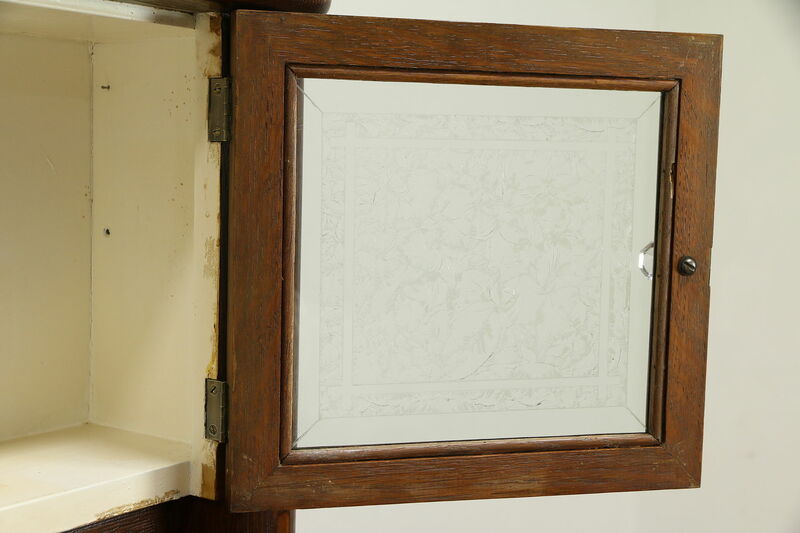 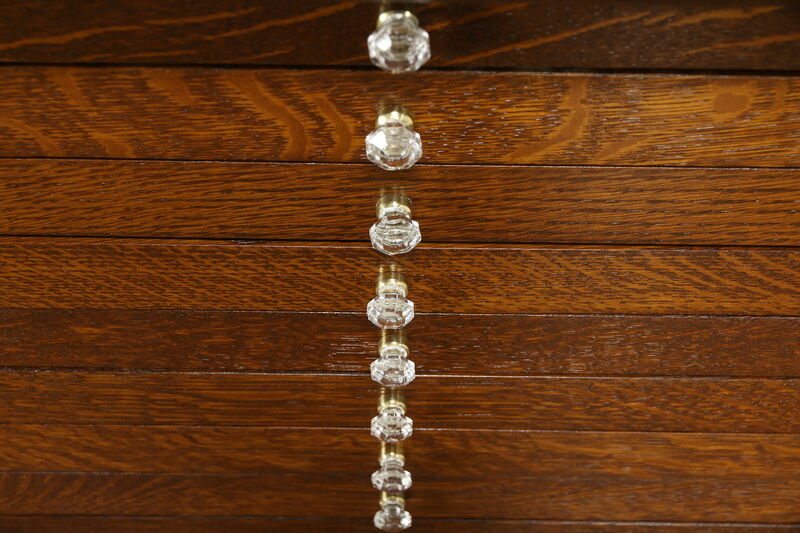 Twenty four drawers of various sizes plus one compartment have original cut glass and brass knobs. 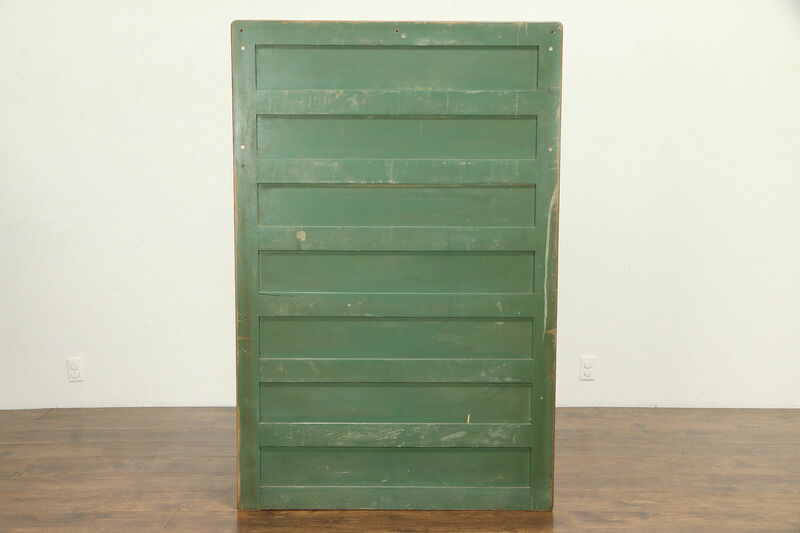 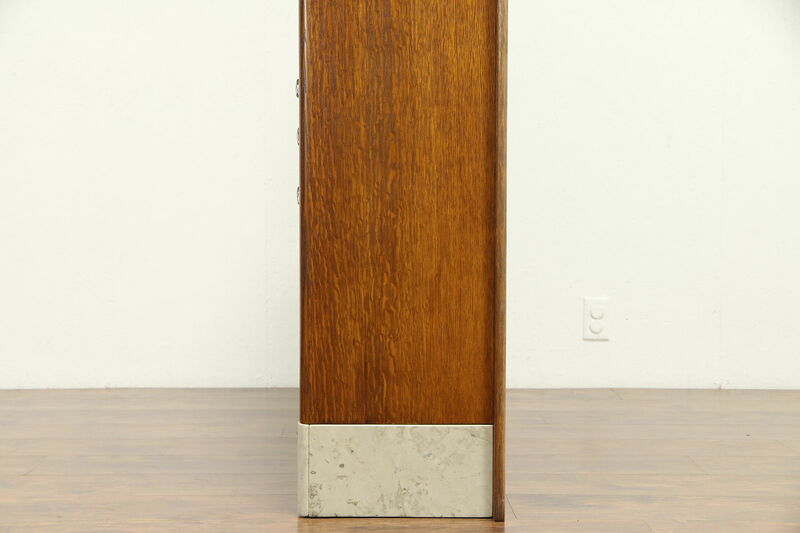 A flip up door has a mirror, there is storage behind. 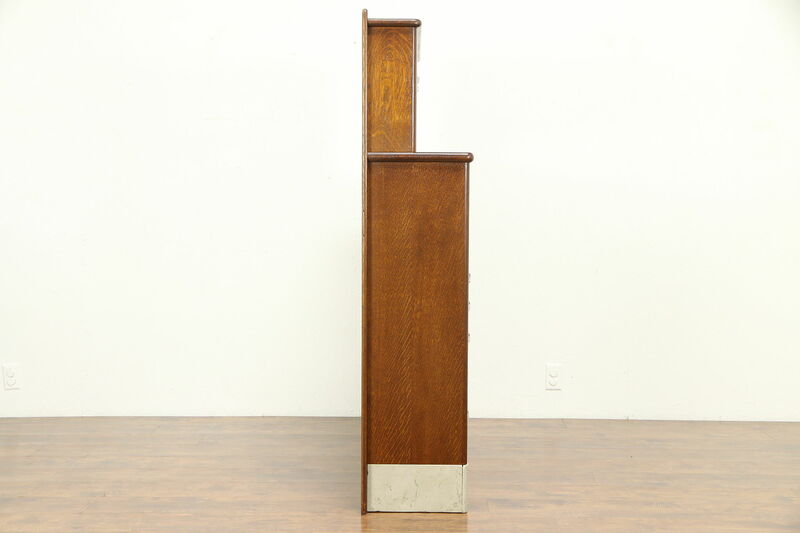 Measurements are 41" wide, 14" deep and 62" tall.